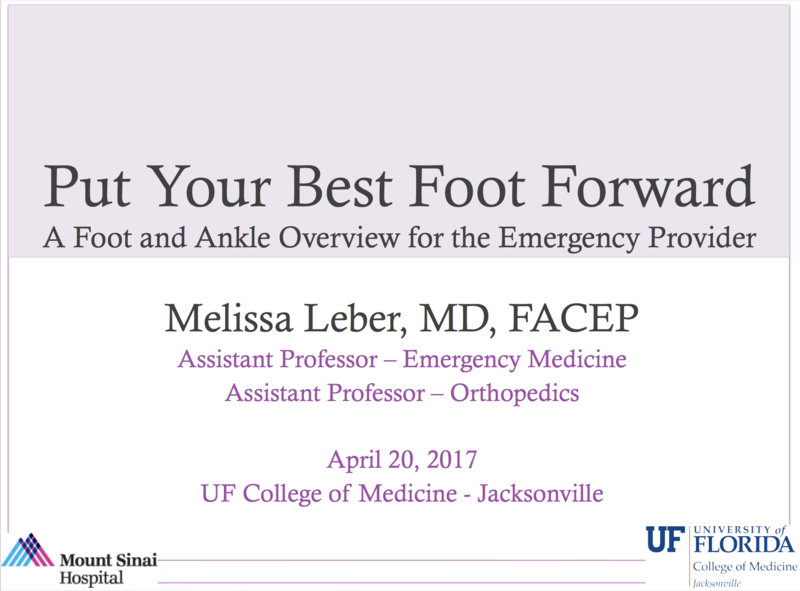 In April 2017, Dr. Melissa Leber, who is an Assistant Professor and Director of Emergency Department Sports Medicine at Mount Sinai Hospital in New York, presented a series of Orthopedic and Sports Medicine talks at the UF Jacksonville EM Residency Grand Rounds. Below is the second part in this series which is entitled “Put Your Best Foot Forward: A Foot and Ankle Overview for the Emergency Provider.” Stay tuned for Part 3! Check out Part 1 here!